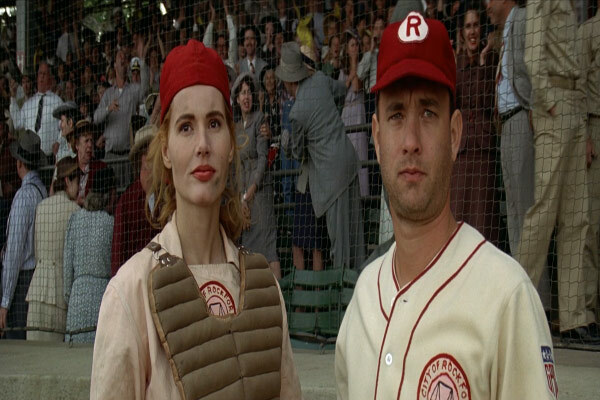 Lessons from “A League of their Own” | MND GMZ MINISTRIES: Reclaiming the Rules, Finding Identity in Christ. There’s no doubt that taking the risk to do something beyond my own ability is scary. Trusting God takes courage. However, God knows what He is doing! Isaiah 55:8-9 says, “For my thoughts are not your thoughts, neither are your ways my ways, declares the Lord. As the heavens are higher than the earth, so are my ways higher than your ways and my thoughts than your thoughts.” God knows more than we do. He is a good God. He can be trusted. Yes, it is difficult to risk failure by stepping out in faith to do the hard things that God may call us to, but it isn’t really our reputation on the line. It is God’s! If we follow God’s lead, we can’t fail! And remember, any success we experience is really God’s victory, not ours. 2 Corinthians 4:7 says, “We have this treasure in jars of clay to show that this all-surpassing power is from God and not from us.” In our fragile and weak moments, God’s power is able to shine all the more. Where my abilities end, God’s begin. When I am incompetent, God is competent. When I am incapable, God is more than able. When I am weak, God is strong. When I am fearful, God is bold and courageous. When I tend to back down, God is more than a conqueror. When I am powerless, God is powerful. When I’m ready to quit, God “lights me up inside” and provides the hope and passion to persevere. What “hard thing” might God be calling you to do? And what obstacles keep you from stepping out in faith?